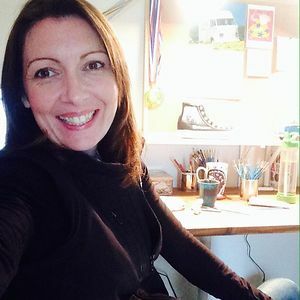 My name is Claire and I am a Welsh artist now residing in Perth, Western Australia. 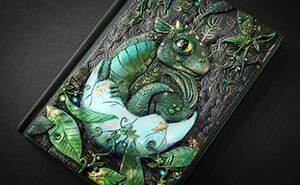 Art has always been an integral part of my life and for the past 5 years my work has predominantly consisted of creating custom hand-painted shoes under the business name The Little Treasure Company. 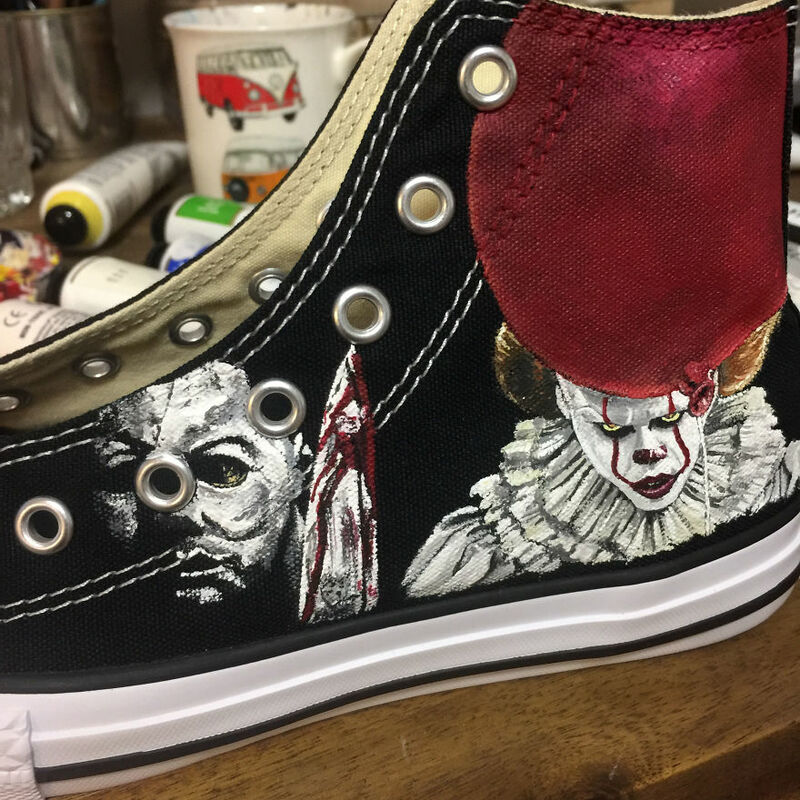 I was contacted to paint up a pair of Converse with classic horror film icons for my client’s daughter (9 years old) who is a big horror fan (she hasn’t actually seen the films but has seen images & trailers). 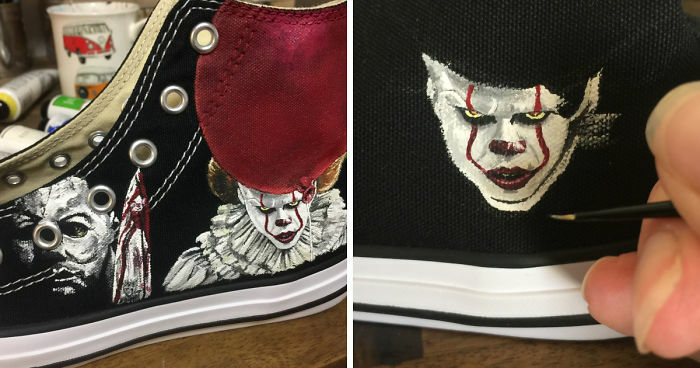 Michael Myers from Halloween joined Pennywise the clown on one side these custom shoes with two of the most infamous creepy dolls – Chucky and Annabelle on the main side of the other shoe. 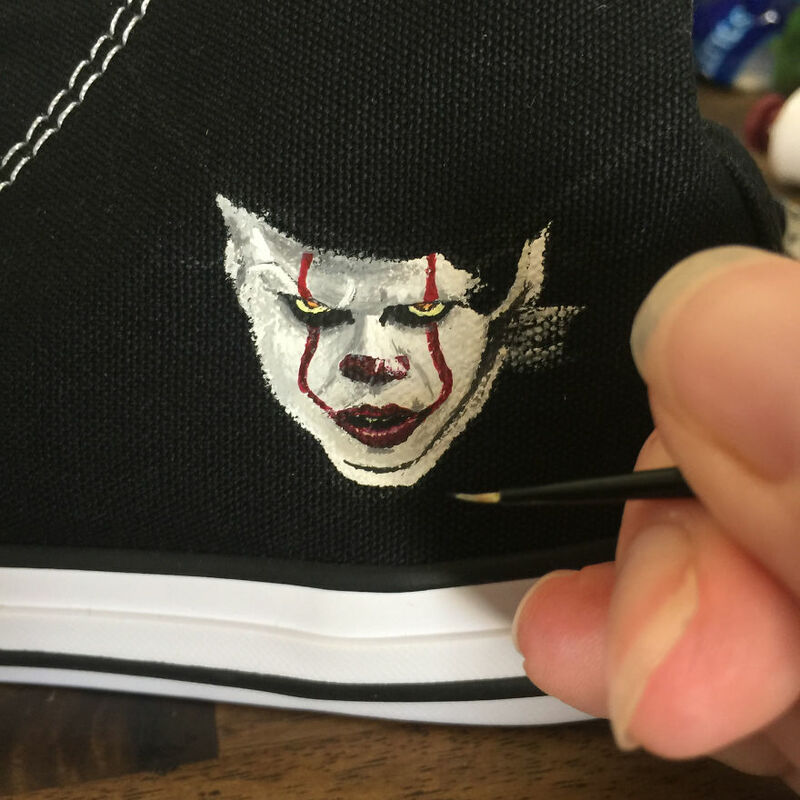 The shoes were finished off with Billy the puppet from the Saw franchise and quotes from the IT movie. 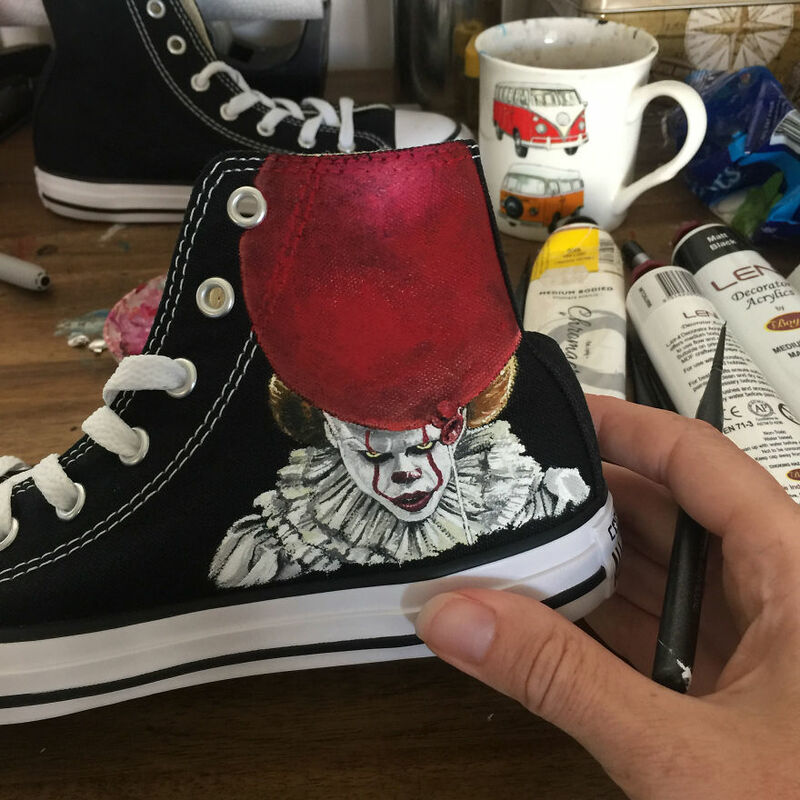 These shoes were painted freehand using acrylic paints and then sealed with a waterproof sealant. This rather unusual request resulted in one of my favourite pairs of shoes that I have painted so far. “Get busy living, or get busy dying.” -Stephen King. 9 year old HELL!!! Im 54!!! I want a pair of IT shoes now!!!! Where can I get a pair?! AND a pair of space shoes for my 17 year old son?!?! TAKE MY MONEY!!!! Love your comment! Thank you! 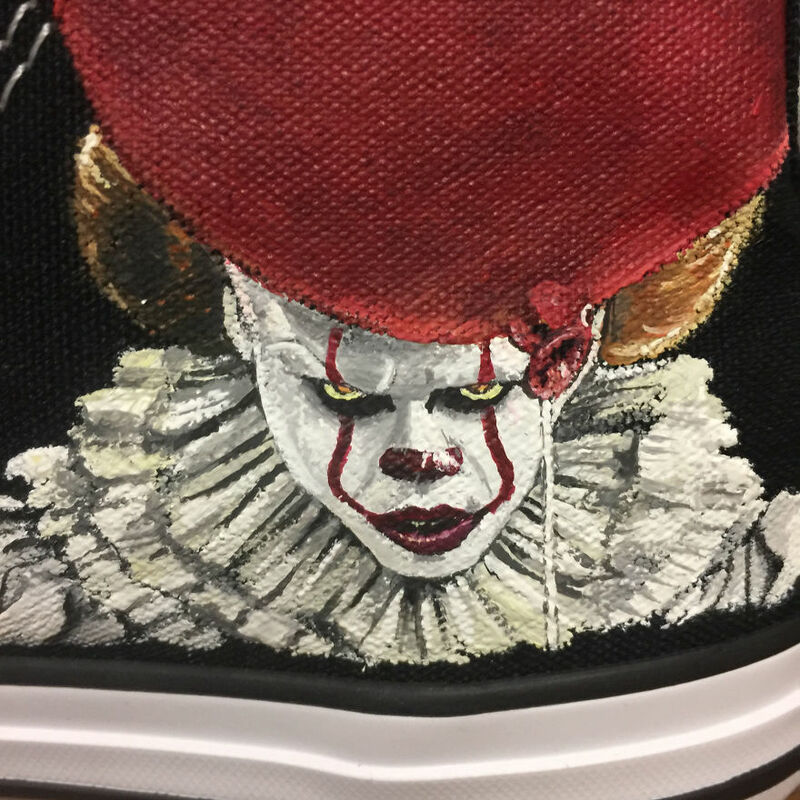 Send me a message on my FB page www.facebook.com/thelittletreasurecompany for more details on getting a pair of custom shoes for you and your son! Nice work. You do a great job of portraying a likeness of these characters!